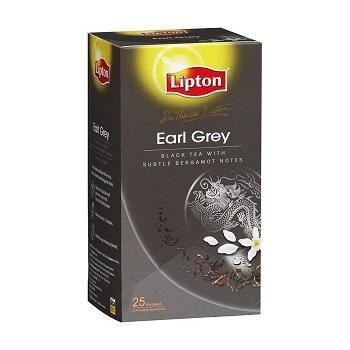 A popular blend of Kenyan, Ceylon and other choice teas, notable for their bold robust flavour. The finest ingredients are heat-sealed in distinctive gold foil sachets to maintain quality, freshness and consistency of aroma. Box of 25 individually sealed tea bags. An exceptional blend of fine teas, enhanced with subtle Bergamot notes. The world's most popular black tea... 100% natural and sourced from the finest tea gardens. Lipton tea is bright in colour and has a rich flavour and aroma which can be enjoyed any time of the day. Box of 200 jiggler tea bags. Light and refreshing Lipton Green Tea. Rich in antioxidants, it makes a light and refreshing drink that is the perfect pick-me-up. Box of 100 tagged tea bags. Lipton Yellow Label is a premium full-bodied tea. Sir Thomas Lipton created this famous blend more than 100 years ago. Since then the quality has been guaranteed by experts who select only the best teas from around the world. Box of 500 enveloped tea bags. The world's most popular black tea... sourced from Rainforest Alliance Certified farms. Lipton is committed to sourcing their tea from Rainforest Alliance Certified farms and helping workers, families and their dependants with social, economic and environmental benefits. In Australia, Lipton tea products contain at least 50% tea from Rainforest Alliance Certified farms. 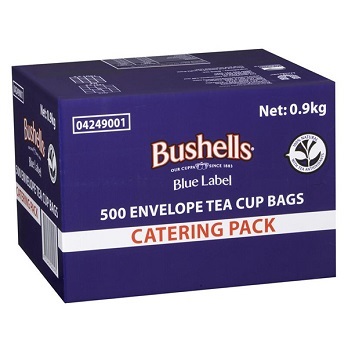 Bulk catering size pack of 1,000 jiggler tea bags. Lipton is working with the Rainforest Alliance to protect the environment and ensure better living and working conditions for tea farmers. 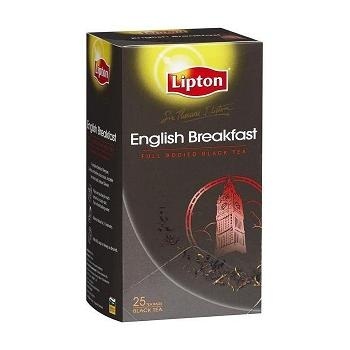 Allready 50% of Lipton Quality Black Tea comes from Certified Farms. 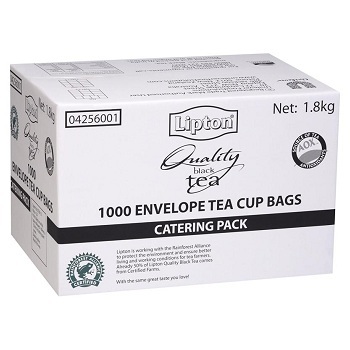 Bulk catering size pack of 1,000 envelope tea cup bags.